An ultrasound is an important next step to take if you are facing an unplanned pregnancy. 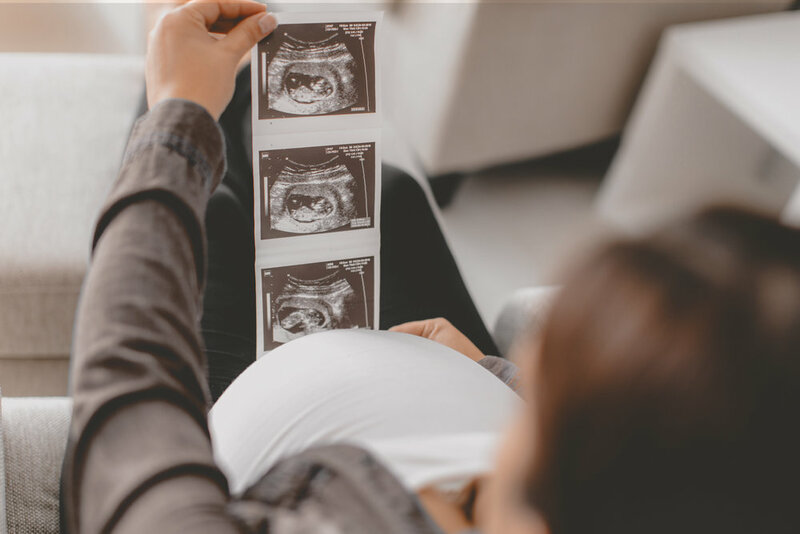 An ultrasound will help you learn about your pregnancy and the options that may be available to you as you contemplate what to do next. Make an appointment for a free pregnancy test at Loving Choices. If your pregnancy test is positive, we will estimate how far along you are based on the date of your last period and assess if an ultrasound can be performed. Having an ultrasound can be helpful if you are thinking about abortion. Different abortion methods are used at different stages of pregnancy. An ultrasound will confirm your stage of pregnancy, which will tell you more about your abortion options. Will I Have A Natural Miscarriage? If you are pregnant and considering abortion, you may not need one. Up to 25% of all pregnancies end in natural miscarriage. An ultrasound will help determine if your pregnancy is viable or at risk for a natural miscarriage, making an abortion unnecessary. An ultrasound is a simple and painless procedure that uses sound waves to create a picture of your pregnancy. An ultrasound will tell you if your pregnancy is viable by determining if there is a heartbeat and if the pregnancy is located in the uterus. An ultrasound will also tell you how far along you are. This information may determine what options are available to you.